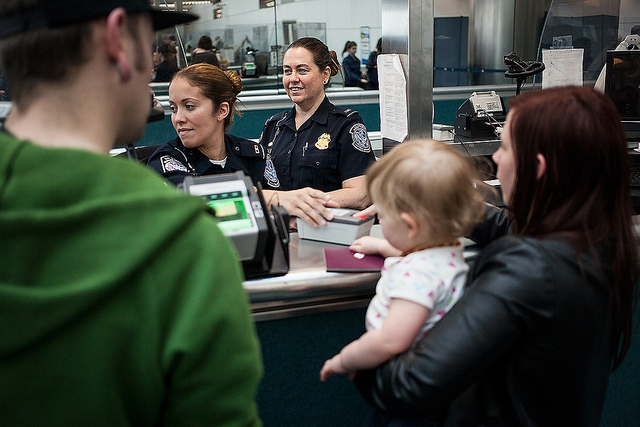 On May 01, 2014 U.S. Customs and Border Protection launched a revamped webpage which allows non-immigrant visitors entering the United States, to access their I-94 arrival/departure record and their arrival/departure history. Prior to April 2013, non-immigrant visitors could only access and retrieve their recent I-94 arrival/departure record. The overwhelmingly positive response to the agency’s I-94 arrival/departure online retrieval tool was what prompted the agency to also offer online travel history retrievals on the website. With this new electronic tool, travelers can access both their I-94 arrival/departure record and their arrival/departure history up to five years back from the date of their request. According to U.S. Customs and Border Protection, non-immigrant travelers may no longer need to file a Freedom of Information Act request (FOIA) to obtain their arrival/departure history thanks to this new electronic tool. Through the website’s new function, travelers will be able to retrieve their I-94 record number, as well as their five year travel history, by entering only their name, date of birth, and passport information. It is important to note that this travel information will not reflect any changes of status, extensions of stay, or adjustments of status granted by USCIS. When clicking on ‘Get Travel History’ the webpage will show the non-immigrant visitor’s printable five year travel history based on their I-94 records. Non immigrant visitors will also have the option of canceling any pending FOIA requests they had made to obtain their travel history information, by entering their FOIA request number. Non-immigrant visitors who have lost the paper form of their I-94 arrival/departure record issued before the launch of the online retrieval system, can retrieve it by filing Form I-102 with USCIS (Application for Replacement/Initial Non-Immigrant Arrival-Departure Document).